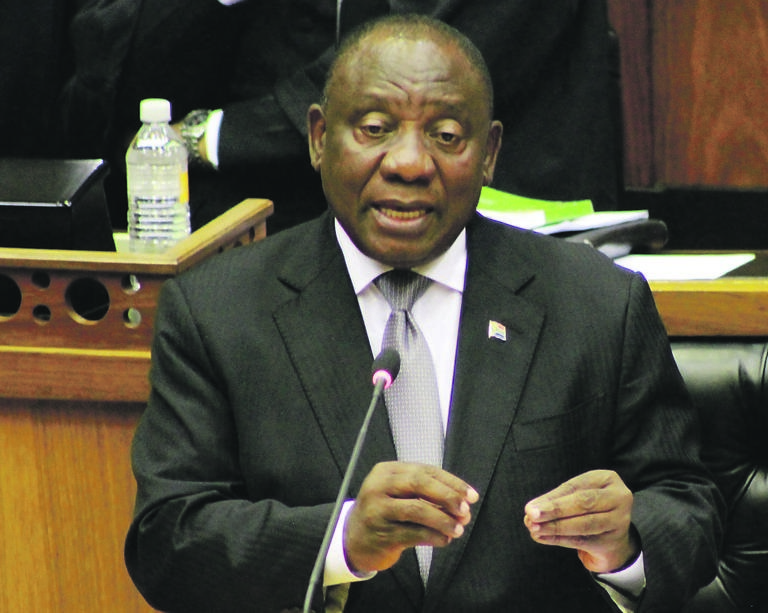 PRESIDENT Cyril Ramaphosa said he was alerted to alleged irregularities happening at VBS shortly after taking office. “It is essential that all those responsible must be held accountable,” he said, answering questions in parliament yesterday. “All relevant institutions must move swiftly to hold those responsible accountable and recover money lost. Municipal officials and politicians who deposited money into VBS must be held accountable,” he said. DA leader Mmusi Maimane said he had proof of payments made to Ramaphosa’s son Andile from Bosasa, a facilities management company accused of corruption. “We can’t have family members benefiting. I would want to ask you to take our nation into your confidence and please set the record straight,” said Maimane. Ramaphosa said his son owned a legitimate consultancy company that provided services to Bosasa and he had asked his son about the payment. “He is running a clear and honest business. If it turns out that there is any illegality or corruption, I will be the first one to make sure he is held accountable even if it means I am the one who takes him to the police station,” said Ramaphosa. After Ramaphosa’s response, EFF leader Julius Malema said it can’t be permissible for Ramaphosa’s son to present invoices and contracts, while Floyd Shivambu’s brother Brian was not given the same treatment. “If the answer you gave is an acceptable answer to your colleagues, then Brian’s answer should also stand,” he said. It was also revealed in parliament that school violence was on the increase. The president’s answer, to send in more police, was criticised by the EFF’s Mbuyiseni Ndlozi. “We need to ask ourselves what kind of society we want to build,” he said.